The days are often no shorter than in some parts of England. 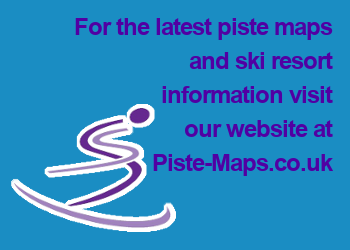 It may get dark earlier in December and January but floodlit pistes mean you can enjoy the experience of skiing as dusk falls. In The Best Ski Resorts In Scandinavia, you can pretty much ski or board where you want. However you are on your own if you venture off the beaten track, so make sure you're prepared with all the relevant safety equipment, and know how to use it! Narvik is a rather bleak Norwegian port with a modest but unexpectedly rewarding local ski hill. Skiing in Sweden is different from skiing in the Alps, the resorts are set in a landscape of forests, lakes and unspoiled wilderness, compared to the more purpose built resorts of France and Andorra. The main ski resort in Sweden is Åre where the slopes and ski accommodation is set along the shore of a frozen lake. Åre will suit beginners, intermediates and families skiing in Sweden as it is made up of green and blue runs. Åre, short for Årefjãllen, is is somewhat reminiscent of St Moritz - just as vibrant but in a much more remote setting. The three ski villages of Duved/Tegefjãll, Åre and Åre Bjőtnen have 102 trails served by an assortment of 40 lifts, including Sweden's only cable car and funicular. Riksgränsen is known principally for its extensive off-piste skiing and actually lists the most important of them on its trail map.